We've already reported details on GameStop's positive earnings, which they largely attributed to the success of the Switch. 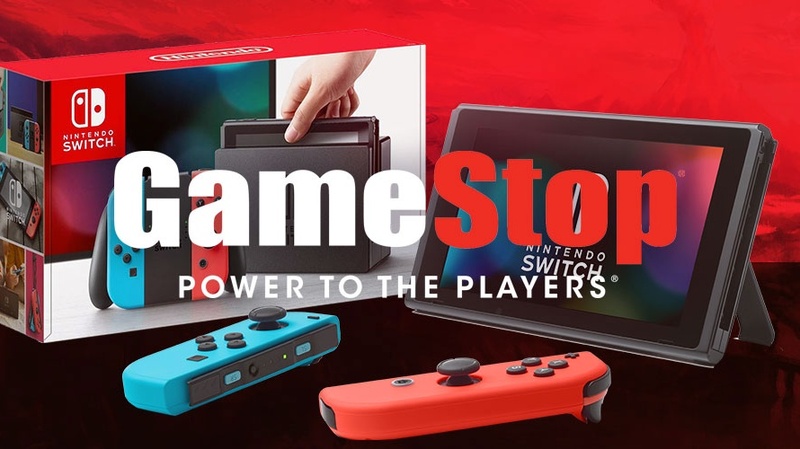 Now we have details from the conference call the company held, including comments from GameStop CFO Rob Lloyd and CEO Dan DeMatteo. Our expectation is that demand for Switch will continue to outpace supply for the remainder of the holiday season and for this to be one of the most sort after gifts. We are working closely with Nintendo to ensure that we are best able to meet the holiday needs of our customers. So, what we see there is actually an interesting dynamic relative to where we were four years ago. So, on the Switch, we would expect that that would be a more meaningful contributor to our preowned business probably in the latter half of 2018, just recognizing that part of that dynamic is that it’s the new console on the block. So, people that are buying the Switch are playing those franchise titles that Nintendo has released Zelda, Mario Kart, Super Mario that keep them engaged with that platform. In contrast, if you look back four years ago, it did not take as long for the PlayStation 4 and the Xbox One to work their way into our preowned business because you had those two consoles kind of competing with each other. And so, you had that consumer that would try one and decide they wanted to go with the other traded in and sort of switch [indiscernible]. So, the dynamics is just different this time. People that buy Switch don&apos;t sell back their console as much as PS4 and XBOne owners because they actually play with the console! And so, you had that consumer that would try one and decide they wanted to go with the other traded in and sort of switch [indiscernible]. [indiscernible] = ", pun intended, lol"
seriously who buys a used console from gamestop? Come on man, you&apos;ll save a fortune on that $1 off. I bought a used Xbox 360 way back in late 2007. I saved a decent amount of money and picked up a handful of games on Xbox Live. Buying a used system from them isn&apos;t always a bad way to go. I don&apos;t want the deal with any risks with buying consoles online unless they aren&apos;t available in my area. I had a warranty through the store for an extra $10. I had to use it because if the RROD but I upgraded to a used Elite. elites are also prone to RRODs. EVERYTHING before jasper has literally zero resale value (only worth the value of its components ie controller/ hard disk), a first for any console but take it from me, this is also likely to RROD soon. Okay, man. Well, I&apos;ve had my Xbox 360 for almost 10 years now and it was pretty much my primary console that generation. I think after hundreds and hundreds of hours of playtime... It would&apos;ve given me the RROD by now. sadly due to the way those consoles were built, they can give RROD pretty much at any point in their lifespan. Granted a console that has worked for so long is safer to use but if you are an Xbox fan, also get a used slim console just to be sure. I was a late adopter and got a slim but I had the displeasure of dealing with quite a few used fat 360s which just stopped working a few months later and it is the only console (pre jasper) I do not advise buying at all. Hey man, just to let you know, CSP knows everything so it’s really no use trying to explain your views or decisions because if they don’t line up with his, you’re wrong. Anyway, I’m a with you. And it&apos;s a me, Mario! 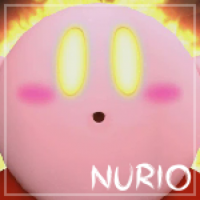 😆 You’re my favorite, Nurio! I also said the DS was going to be another virtual boy, yet in contrast to many of you, I am one of the very few who does not forget his mistakes. I STILL stand by my predictions on the switch though (about lifetime sales) so give it some time before you decide to shoot me down. I also never said the console is dead on arrival, I said the first 5M units will be a very easy sell because of the the strong brand equity. We are at 7M, better than expected yes, but this is a marathon not a sprint so let&apos;s see where the console will stand after 1 year and what kind of support it will have. The bethesda support was unexpected yes but...what else is there? When you get two game of the year games in the first year you kind of want to stick around and see how much better it gets down the line. Plus many other great games in between zelda and Mario. Aren’t Nintendo gamers already slightly notorious for holding on to their Nintendo hardware and the good software that goes with it?